Trip up the spiral staircase of Cape Columbine Lighthouse and gaze at jaw-dropping views of the formidable Britannia reef and Atlantic Ocean. 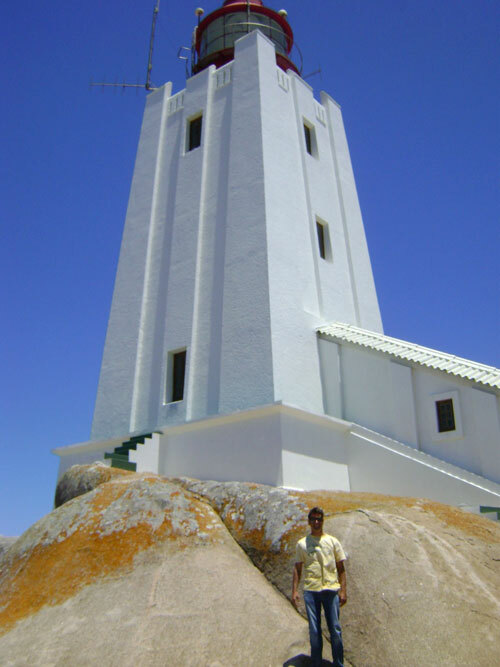 Fortress-like and spectacularly situated on a windswept headland, Cape Columbine Lighthouse is usually the first lighthouse sighted by ships coming from South America and Europe. 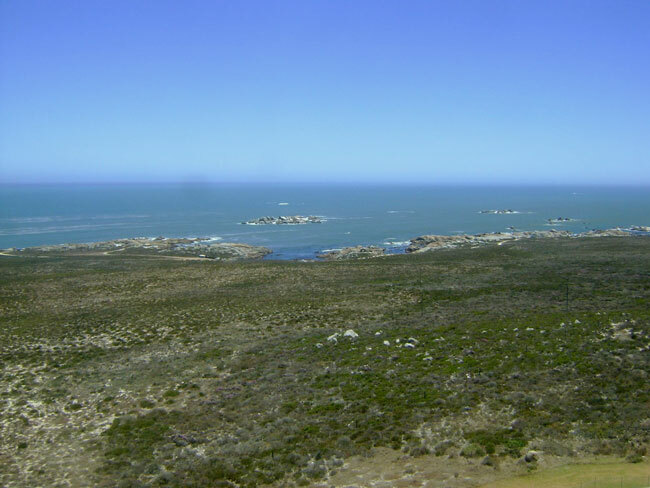 The prominent rocky point is just five kilometres from the quaint fishing village of Paternoster and is definitely worth a visit. 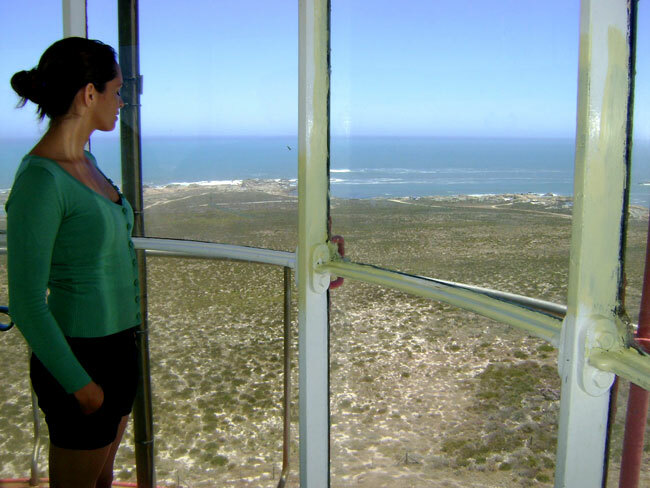 Not only to explore the lighthouse, but also for the stark beauty of the surrounding Columbine Nature Reserve. 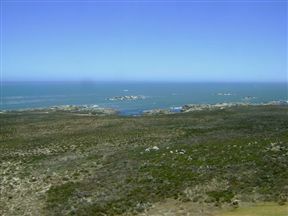 In spring the reserve is strewn with wild flowers and the coastline is renowned for its sea life, particularly crayfish and abalone. Built in 1936, Columbine was the first South African lighthouse to receive all three navigational safety features – a light, a fog signal and a radio beacon. 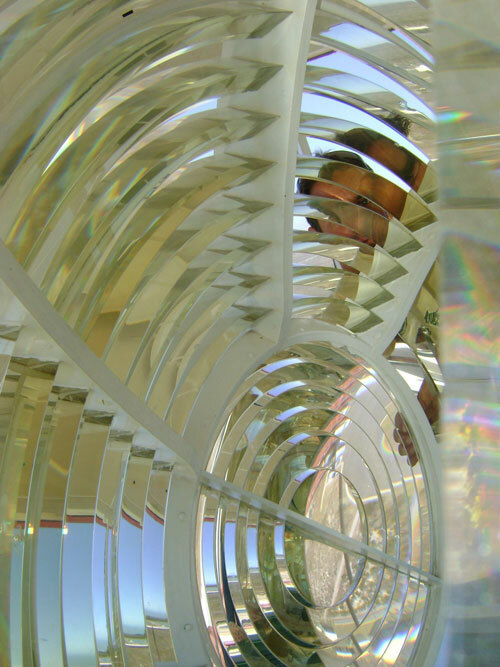 The impressive lens system was also the first designed to use a 4kW incandescent electric lamp instead of wick or petroleum burners. 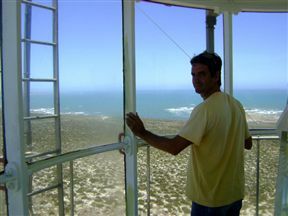 Today it is one of the last manned lighthouses on the South African coast and offers interesting guided tours. 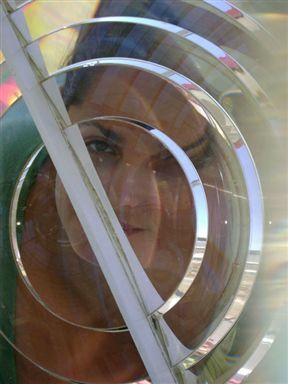 Entrance fee: adults R13.70; children under 12 R6.90. Peer over the frothing Atlantic Ocean and Cape Columbine Nature Reserve with gulls riding the wind around you. The long trip up the spiral staircase to this lofty lookout is well worth it for the sweeping views alone. Cape Columbine Lighthouse is 4.8km from the centre of Paternoster , the nearest airport 151.3km (Cape Town International Airport).